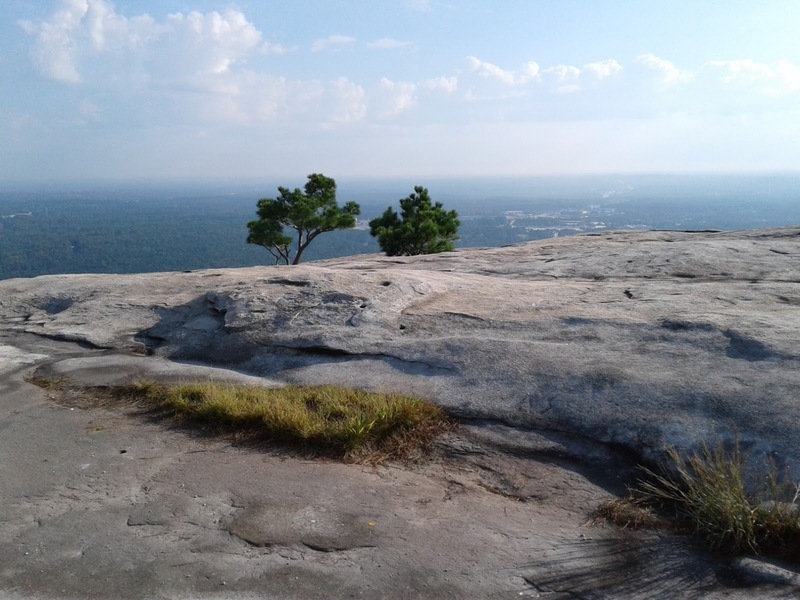 This past weekend was beautiful in some areas of the southeastern part of the United States, so my family decided to take a trip to Stone Mountain Park. Coincidentally, we were not the only ones who felt nature’s pull because the park was full of visitors of all ages. Everyone was in good spirits and enjoying the fresh air and natural scenery. Stone Mountain Park has a checkered political history. Community action groups have opposed the park due to its historical connection to the Civil War, the park is a dedicated Confederate Memorial. Recently, residents protested the Civil War monuments and the Confederate Memorial Carving. However, in spite of its contentious symbolism, Stone Mountain Park is a popular attraction because of its beauty and natural habitat. 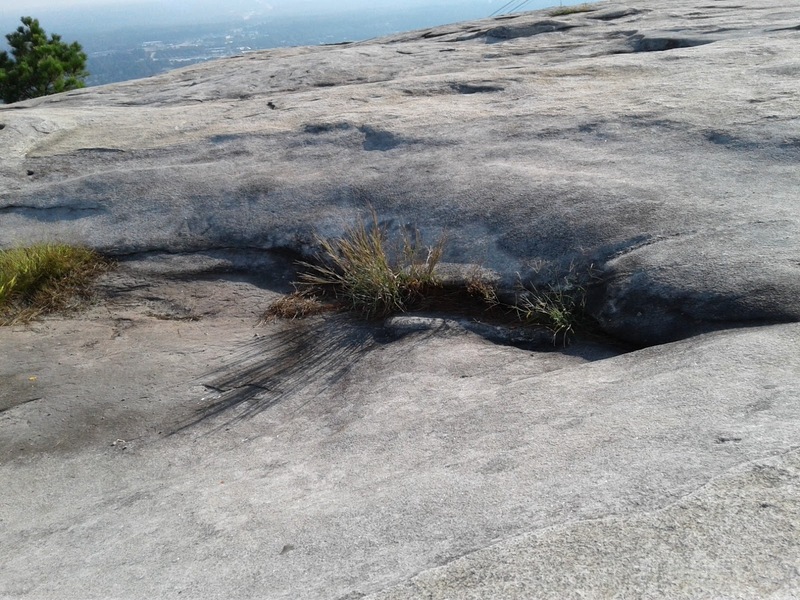 For leisure, Stone Mountain Park has playgrounds, a 5 mile walk around the base of the mountain, lakes, a man-made beach and a nature walk-up trail to the top of the quartz monzonite dome, and other attractions. The park is a popular location for school reunions, family picnics, and spiritual retreats. A nightly laser show during the summer is a main draw. 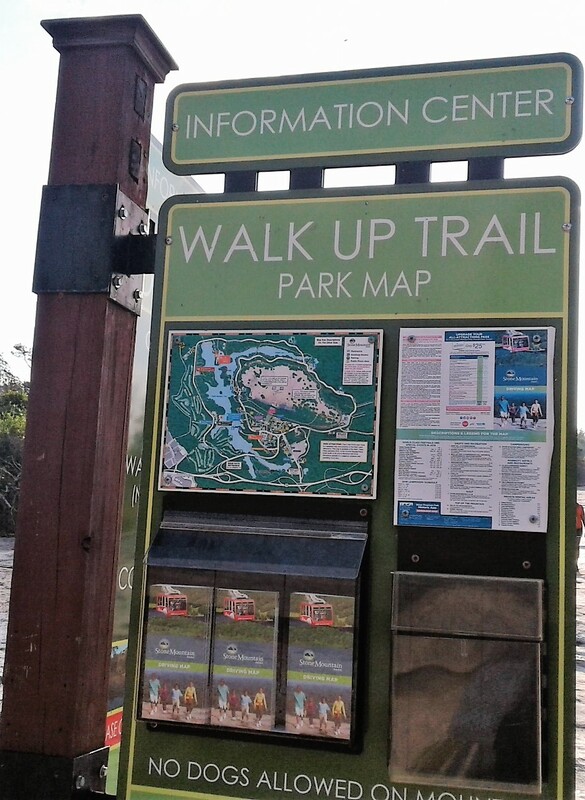 The annual parking pass per vehicle is $40.00 and the daily park rate is $20.00 per vehicle. Walkers and bicycle riders are not charged a parking fee. I highly recommend visiting any nature park due to its health benefits. Studies show nature walks decrease stress and increase mental well-being (2014). Actually, “tree-hugging” is an increasingly popular way to relax. Science shows that hugging trees is good for your health (Ketler, 2014). If hugging trees is not your thing, just being around trees will do the trick. So, if you are feeling stressful, according to scientists, go hug a tree! Another way to release stress is to meditate while in nature. One type of meditation involves focusing on your breath or counting your footsteps while walking. Carefully walking barefoot on clean ground is another way to bond with nature. If you are in the area, Stone Mountain Park is worth a visit. Below are a few pictures I took during my stay. Beautiful clear sky above the clouds. 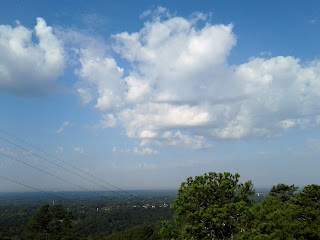 Scene from the top of the mountain. 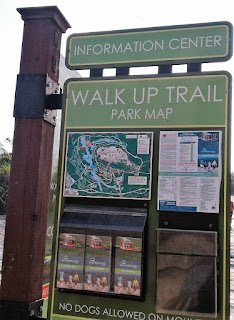 Stone Mountain Park has good signs and directions. My favorite picture. I love the contrast between rocks, green leaves, and a blue sky. Study: Nature walks reduce stress. Retrieved from https://wilderness.org/blog/study-nature-walks-reduce-stress-make-us-happier. Where is your favorite natural getaway?